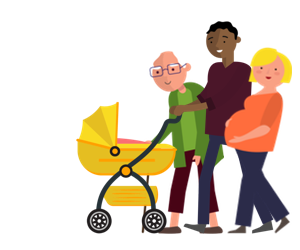 Find out more about Frimley Health and Care sustainability and transformation partnership (STP) including details of its population size, constituent organisations and priorities. This partnership is developing into an integrated care system. Making a substantial step change to improve wellbeing, increase self-care and early detection to prevent ill health. Taking action to improve long-term condition outcomes including greater self-management. Proactively managing frail patients with multiple, complex physical and mental health conditions, reducing crises and prolonged hospital stays. Redesigning urgent and emergency care, including integrated working and primary care models providing timely care in the most appropriate place. Reducing variation and health inequalities across pathways to improve outcomes and maximise value for citizens across the population, supported by evidence. The following organisations are part of Frimley Health and Care STP. For individual contact details for these organisations, please see the NHS website.